Carlisle continue to look good but – as we’ll see below – have probably left it too late to barge their way into the play-offs. 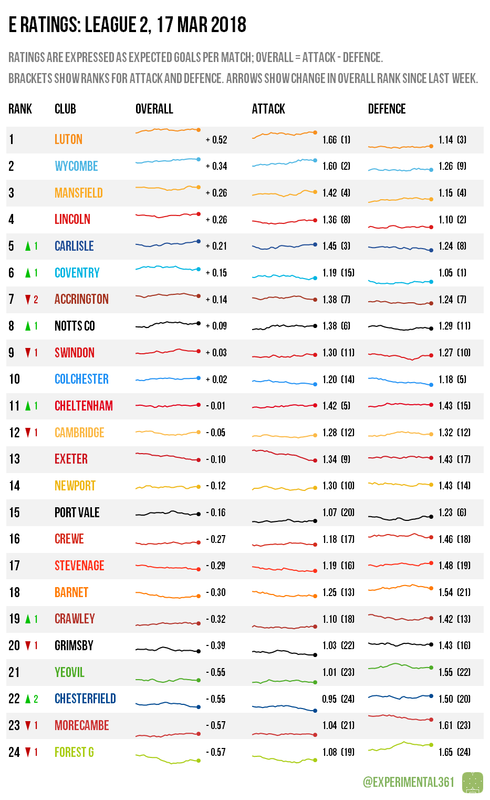 Accrington‘s surge to the top of the table is a bit mysterious as their performances have been ebbing for a while, while Exeter‘s defeat was less surprising given their own recent decline. Barnet look to be improving but it’s pretty subtle and may not be enough to get them out of danger. It’s still a two-horse race between Accrington and Luton for the title, with Stanley’s win today keeping their noses in front. 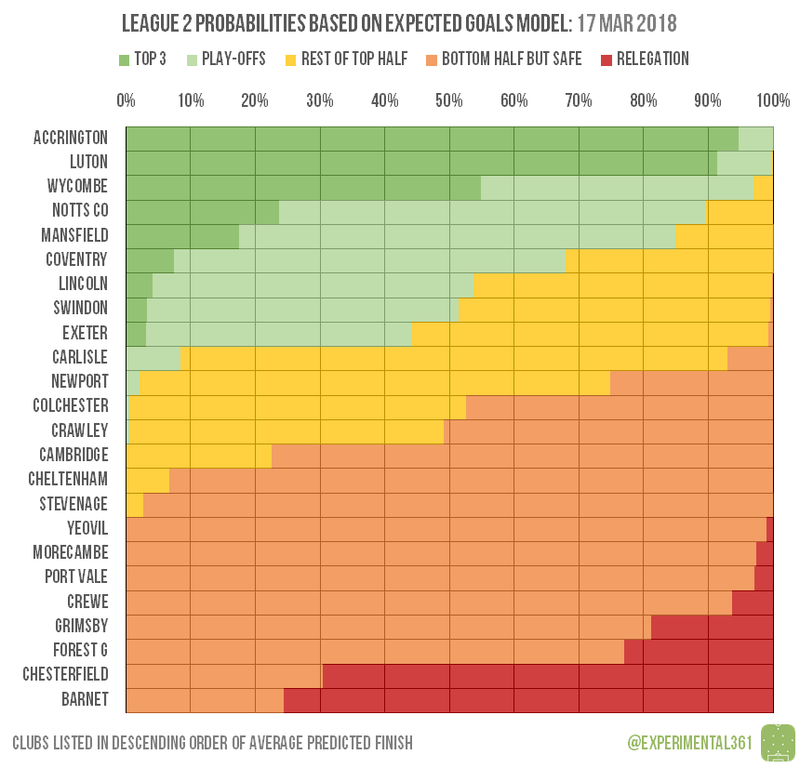 Wycombe‘s win keeps them in the hunt for a top three finish and Barnet in relegation danger. Chesterfield‘s draw at Cheltenham didn’t drag them significantly towards safety, but defeated Forest Green and Grimsby remain catchable. The play-off race is still interesting, with Coventry, Lincoln, Swindon and Exeter scrapping it out for the final two places as it stands.